How does recruiting work? What do recruiters want? 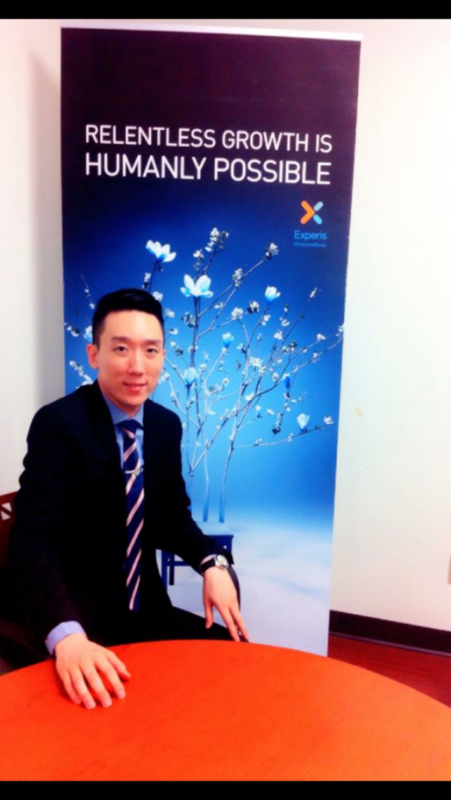 These are some of the thoughts that prompted me to interview Ronald Yoon, Technical Recruiter at EXPERIS ManpowerGroup. I met Ronald earlier this year at a Project Management Institute committee here in Toronto. If you like this article, please write a comment. I have plans for similar interview articles in the future. 1. How did you get into the recruiting field? Early in life, I lived in a variety of places – Montreal, Vancouver and Korea. By regularly moving to new places, I found myself regularly enjoying the process of meeting new people. In university, I studied economics and employment relations at the University of Toronto. During my studies there, I had the opportunity to work for one of the major recruiting firm. My early interest in meeting a variety of people, my university studies and witnessing potential at the major recruiting firm have led me to the industry. 2. What are some of the misconceptions that people have about recruiters? Some people have had negative experiences with recruiters. Those unfortunate incidents lead some people to stereotype all recruiters in a negative way. Like any profession, there are good and bad professionals. 3. What does a typical day at the office look like for you? The details of each day vary. Generally, certain activities occur each day. There are conversations with clients in Finance, Telecom, health sector, Government, IT and engineering. I meet with candidates in person and by phone. I also put time into sourcing and research to find new candidates. I read articles that is related to new technologies and better project management methodologies. I also put some time into participating in professional organizations like the Southern Ontario Chapter of the Project Management Institute. 4. What are your observations on market demand for permanent full time vs contract roles in 2016? In the Greater Toronto Area, I have noticed an increase in the number of permanent roles in 2016 compared to a year ago. However, there are company specific dynamics to consider. Some companies focus their recruiting on contract roles while others have a preference for full time roles. 5. Where have you seen the greatest increase in talent over the past 12 months for staff? With my area of work, I see a few areas of increased demand. Candidates who are knowledgeable in DevOps, agile (both developers and project managers) and big data are in demand. There is also steady demand for project managers in a variety of roles. Over time, I have also observed certain seasonal patterns. For example, summer and Christmas time tend to be slow periods in recruiting. I have also found that some clients tend to recruit more project managers at the start of their fiscal years when new projects are funded. 6. Where have you seen the greatest decline in demand for talent over the past 12 months? Technological change is a major factor. It is easy to notice which areas and technologies are in demand because there are more requests about it. In contrast, noticing a decline is more difficult. In general, older technologies naturally gain less attention in the IT market and Finance which means declining in demand. 7. Do you see contract roles convert to full time roles? I have seen some cases of contract roles converting to full time roles. There is no clear pattern to it though. Employers and candidates both have to consider cultural fit in these decisions. Specific issues for candidates to consider in cultural fit include: management style (i.e. how much are you supported), attitudes to innovation (i.e. is innovation a priority for company) and communication style. For example, companies have preference on different personalities whether it’s an introverted professional or an extroverted professionals. It really depends on the type of business they are in. Also, it will depend on the timing of the project (i.e. planning, execution, project conclusion) and what they are being asked to accomplish. 8. What do clients need to know about résumés? What oversights do you see on a recurring basis? The most common mistake I see on résumé concerns dates. Many candidates do not provide full date information – month and year are needed for each item listed in your work history. If you have a gap in your work history, address it. Leaving an unexplained gap in your work history means hiring managers will be unclear so might have to come back to you for the explanation or have a question mark in their decision to bring you in for an interview. Any gap longer than 3 months should be explained. Some candidates omit critical details about their work accomplishments because they are trying to be brief. For project managers, I would like to see details on the project: how many project team members did you manage, what was the budget, what technology was involved and related points. These details are needed for managers to understand your capabilities. 9. How do you suggest candidates build an effective win/win relationship with you and your peers? Readers are welcome to contact me by email at ronald.yoon@experis.com In addition, I’m an active volunteer at the Southern Ontario Chapter of the Project Management Institute. I welcome having conversations with candidates even if they are not searching for a new role. It’s enjoyable to learn about people and their careers. 10. What is your evaluation of the certifications and certificates? When do these add value? In project management, the PMP is the most important certification. Other popular certifications of value include the ITIL and Scrum Master certifications. Many clients like project managers with a technical background because it suggests the ability to communicate well with developers. 11. How can candidates best respond to recruiter questions about salary and compensation expectations? Have a firm number and stick to it. Constantly changing your expectations in this area creates frustration for you in the long run since your rates are over-exposed in the market. On the other hand, there are situations where you can make the case for higher compensation. If you have recently acquired new skills by completing a challenging project or earning a certification, you can build a case. My observation is that hourly rates for project managers range from $50 per hour to $120 per hour, sometimes even higher. The level of responsibility and work experience are factors in play. 12. Any other tips you would like to share with candidates? The project management job market is alive and well. As long as you keep learning and stay confident, you are likely to find a role. I think some professionals fail to appreciate the importance of confidence. Your confidence has to convince a company to give you a large budget, a challenge to achieve and support. Know what type of management style each company prefers. Research companies by talking to your network to study what type of projects you are going into and understand the hiring manager’s career. Finally, always have detailed project examples to share. Very meaningful thoughts. I suggest that such experiences should be shared frequently particularly with the management professionals along with improvements that the individual /s should inculcate in day today management of activities. Technical suggestions on CVs are always welcome. I’m trying to get into the project management field, so this was a great article, and very helpful in setting up a strategy for pursuing job openings. Well done! Great insight shared here. Thank you!